The following are maps for the various races that are apart of the McAllen Marathon. 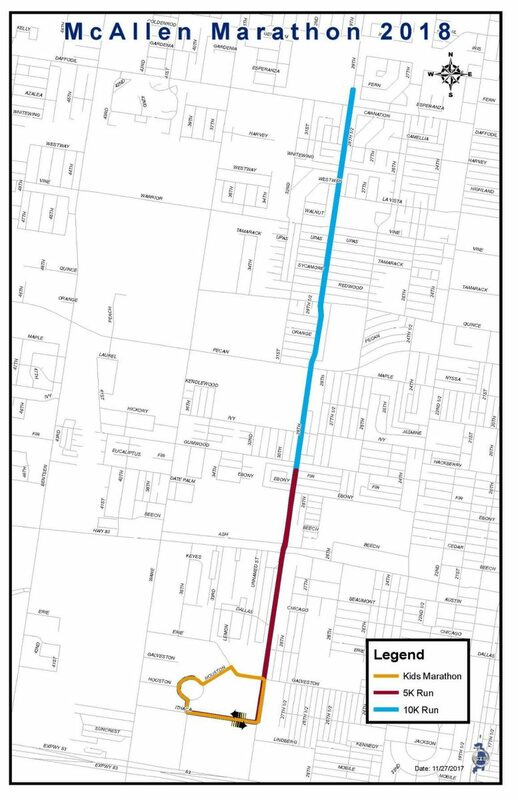 The race courses are flat and fast on asphalt routes that will take you through McAllen neighborhoods, according to the marathon’s website. The marathon is also a USATF-certified marathon and a qualifier for the Boston Marathon. All races will start and finish at the McAllen Convention Center. 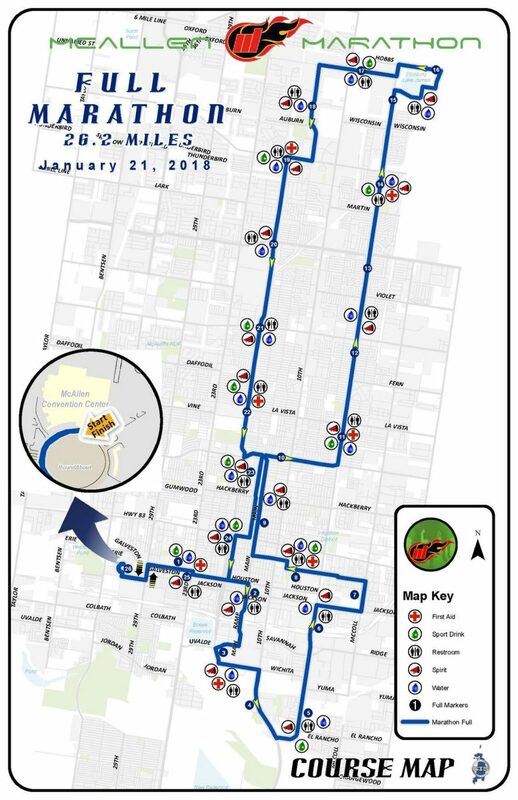 The marathon and relay marathon will take place at 7 a.m. Sunday, Jan. 21. The Kids Marathon’s final mile will take place at 9 a.m. on Saturday, Jan. 20. A 5K and 10K will take place at 7 a.m. Saturday, Jan. 20. To register for the races or to find more information, visit mcallenmarathon.com. Course for marathon and relay marathon for next month's McAllen Marathon. Course for McAllen Kids Marathon, 5K and 10k races for next month's McAllen Marathon.